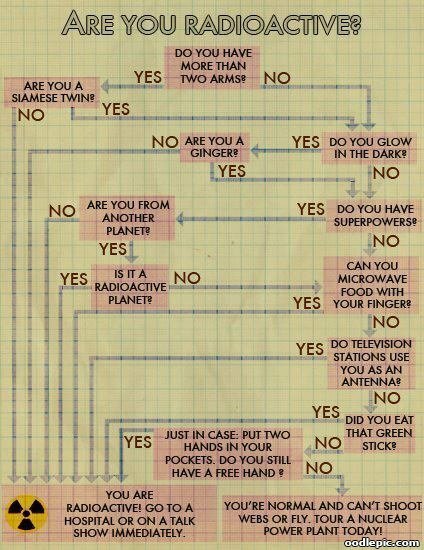 Chart to determine if you are radioactive. 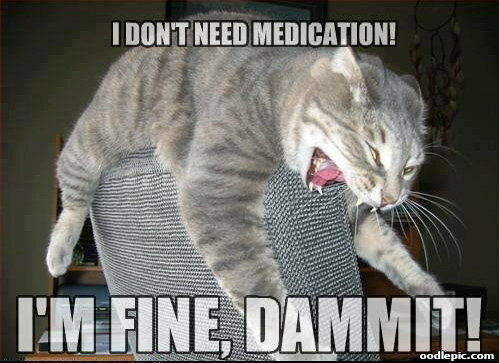 Cat Attacking Chair: I don't need medication, I'm Fine, Dammit! 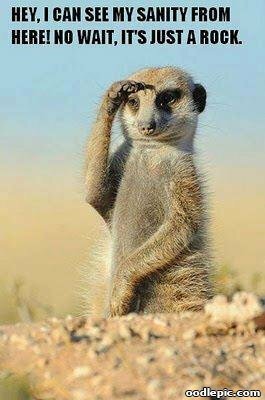 Meerkat looking across field: Hey, I can see my sanity from here! 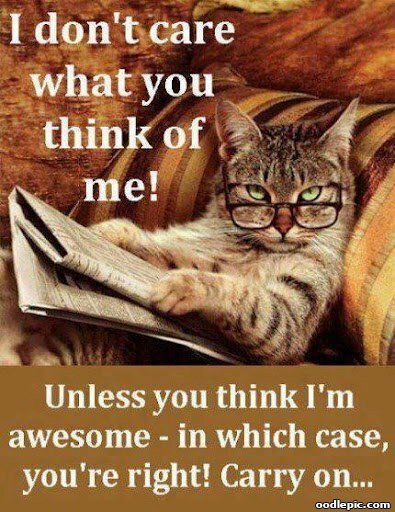 No wait, it's just a rock. 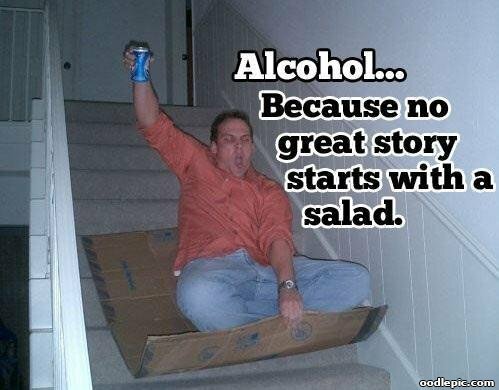 Mad sliding down stairs: Alcohol... because no great story starts with a salad. 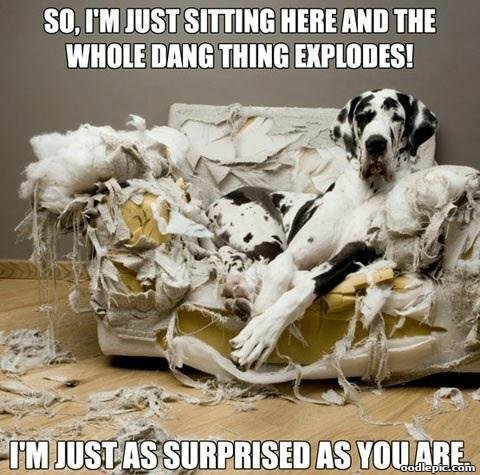 Dog sitting on torn up chair: So, I'm sitting here and the whole dang thing explodes! 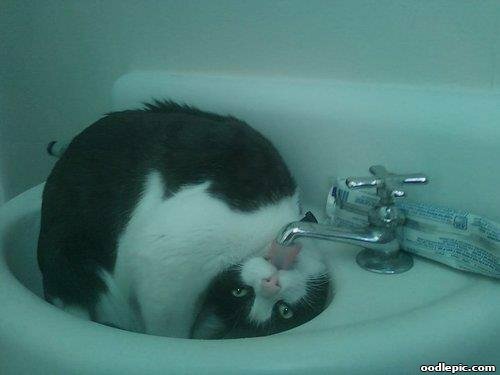 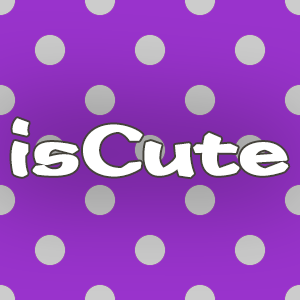 I'm just as surprised as you are. 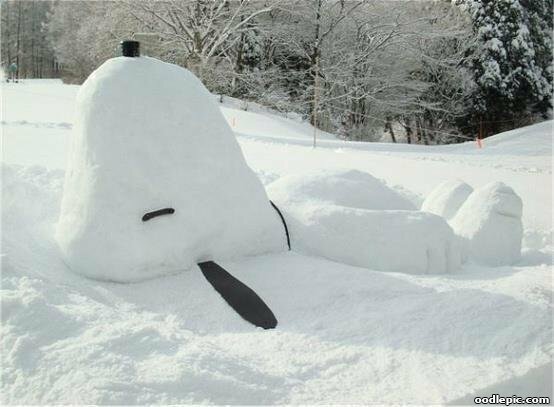 Big Snoopy Dog made out of snow lying on back. 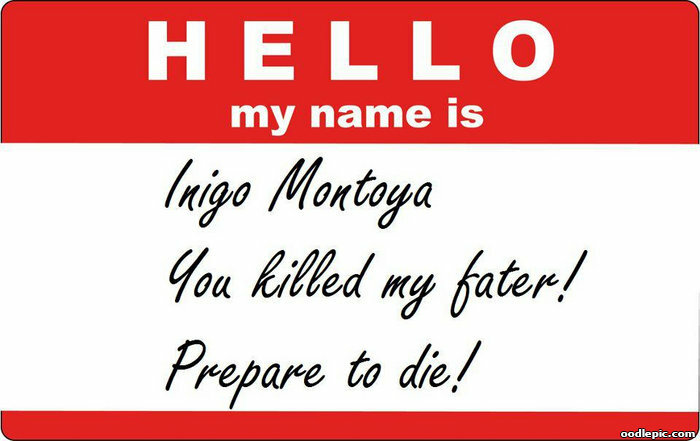 Hello my name is tag: Inigo Montoya You killed my fater! 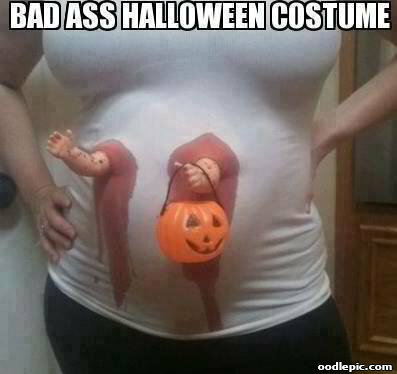 Prepare to die!